Chuy,Uruguay is quickly becoming a destination of choice for adventurous travelers who are seeking a sunny locale, beautiful beaches, tropical wonders and great Uruguay food. This fascinating location is unique and exotic with more than enough exciting discoveries to make your vacation or holiday getaway a memorable experience. 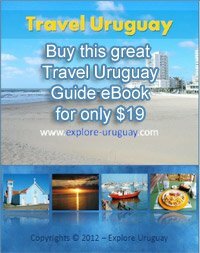 With an approximate population of 10,000 people Chuy Uruguay is picturesquely located along the shores of the Atlantic Ocean, just a bit more than 200 miles east of Uruguay's capital city of Montevideo. First established in the early 18th century this town is rich in both history and culture. This was the place where many battles between the Portuguese and the Spanish occurred during the 1700s and visitors are thrilled to be able to personally tour some of the most famous sites and structures. Tourists who come to Chuy Uruguay should not miss the opportunity for an interesting and educational excursion to the famous Fort San Miguel, which is nestled in the San Miguel mountain range, located in the San Miguel National Park which lies less than five miles away from the city. The fort changed hands a few times during the 1700s before finally becoming part of the Spanish territory. By that time, the fort had lost most of its value related to fighting and wars. This meant that it was neglected and soon it fell into a state of extreme disrepair. Although the fort had been neglected for nearly two hundred years, a historical recycling group finally rescued it in 1923, and had it declared a national monument. Today, it serves as an inn for guests and it also the home to a fascinating array of Uruguayan historical artifacts that date back to the time when the Spanish and Portuguese forces battled for territorial rights. Now when you enter the gates of Fort San Miguel, you can step back into history and relive many of these moments. 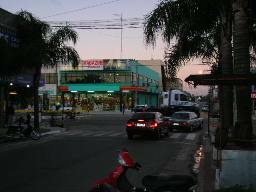 Being a border city, Chuy Uruguay shares its main street, International Avenue, with the Brazilian city of Chui. For shoppers seeking bargains you can find numerous duty-free shops offering some very good deals. Tourists love to browse through the shelves that are filled with a variety of products and you are sure to find gifts and treasures that will fit any budget. in 2 different countries at the same time? There are many unique curios, antiques and handcrafted items sold at these stores that are eagerly sought by both visitors and dedicated shoppers. Sidewalk cafes, boutiques and fashionable restaurants are tucked in among the stores and provide a respite from hours of non-stop shopping. Turkish, American and Arabian immigrants own many of the stores and shopping centers that line International Avenue, and shoppers and visitors often are amazed at the mixture of different languages, spoken all at once, creating a lively shopping and cultural experience. Having an inviting mild climate throughout the year, and a close proximity to the ocean, Chuy Uruguay is rapidly developing a reputation as a popular vacation destination, especially during the hotter summer months. After filling their shopping bags, crowds often flock to Barra del Chuy, which is a bathing resort located about 8 miles east of the city. From this resort, one can view the beautiful Atlantic Ocean and enjoy walks along the shimmering sands. Being built on a breakwater, Barra del Chuy can often be quite breezy and cool. When the winds are too high, tourists often seek shelter and enjoyment at one of the many beachside bars that are found in the Barra. Rental cabins and supermarkets are also located on the property and add extra fun and convenience to any beach vacation in Chuy Uruguay. Another popular spot for Chuy tourists is the Merin Lagoon. The lagoon draws thousands of gulls and other birds, making it a hot spot for bird watchers and the avid photographer. For the more adventurous traveler who dares venture deeper into the outskirts of Chuy, palm tree groves, wild lagoons and marshlands, complete with their own supply of local wildlife offer even more adventurous outings. Vacationers who like the hustle and bustle of fellow travelers, and who enjoy camping will not be disappointed in Santa Teresa Park. This is a favorite site for many who are visiting Chuy, Uruguay, and it is located only a short distance from Fort San Miguel on Route 9. Santa Teresa is one of the world's largest man-made parks and it offers the camper the use of cabins, camping sites, several beaches, and some basic comfort services such as toilets, drinking water, and hot water showers. I drove to Chuy on a sunny afternoon in early December. I arrived in my rental car in the early evening. I pulled into a gas station and asked the attendant where the Brazil border is. He kind of laughed and pointed across the road. While I was in this city of Uruguay. I stopped at a parilla or "barbeque." You can see a couple pictures on this page of my meal. Of course. 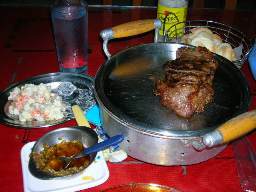 The steak has the most notoriety when you are exploring the cities of Uruguay. This entire meal cost me approx. $7.00 CAD. It was a delicious tender steak with all the fixings. While I was waiting for my steak to cook, I watched as the employees purchased hotdogs from the street vendor. These hotdogs cost around $.50 with all the fixings. I tried a couple while exploring Uruguay and found them to be quite tasty and different from what we call a hotdog in North America. I found it interesting that I didnt have to go through any customs or border check to enter Brazil through this city in Uruguay. However, on the way back to Punta del Este Uruguay, I had to stop at a road check where a Uruguay officer asked me to open my trunk. The inspection was polite and quick. I explained that I was a canadian visitor and he explained that they check for cars for customs purposes. Apparently in this Uruguay city, the Duty Free shopping is a draw for tourists as well as the people of Uruguay who potentially bring duty free products back to Uruguay for re sale.